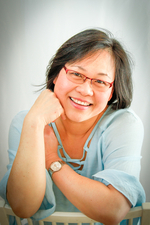 Suyin is a CAPPA trained and certified postpartum doula, a CAPPA trained birth doula, lactation educator and childbirth educator. She has current CPR and first aid training, and holds a current Food Safety Hygeine Certificate. Suyin has recently become a Postpartum Doula Trainer through CAPPA. Suyin left Malaysia at the age of 23 to do nursing and midwifery training in the UK and worked as a nurse and midwife in England for over 20 years. She has been a Doula in Canada for over 6 years working in and around Toronto and the GTA. Suyin has two grown up children (18 and 21) of her own and is passionate about supporting individuals and families holistically and to ensure healthier outcomes, both mentally and physically. Respectful of all cultures and traditions, Suyin believes that the role of a doula should be adaptable to help those with little or no extended family as well as those who have an established network. Suyin believes in a strong and supportive organization that promotes the view of Doulas as professionals in the Doula field. Her background is evidence-based and her aim is to encourage Doulas to reach their potential, support Doulas who want to achieve certification and engage in continual professional development (CPD), helping them set and achieve their goals. Suyin speaks several languages including Malay, Hokkien, Cantonese, some Mandarin and good ole “proper” English. Her hobbies include Knitting & crochet, scrabble on-line, cooking and healthy eating, yoga, fitness and looking after the family pets. Her mission is to feed the world and make everyone happy (her doula work and her devotion to her family help her achieve this in some small part!). If Suyin could have her life over again she would be a farmer; growing all kinds of produce while looking after the farm and all the farm animals.